Sustainable Energy & Lighting Solutions (SELS) is committed to being a leader among the green energy movement. 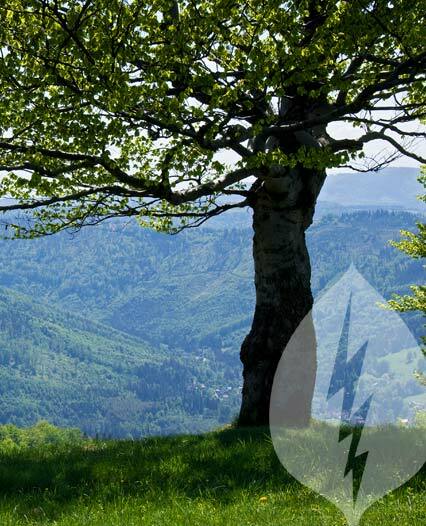 We are dedicated to providing sustainable kilowatt reduction solutions for our customers in Pennsylvania, Maryland, New Jersey and New York. SELS provides kilowatt reduction and utility cost suppression solutions for homeowners and commercial properties for non-profits, government entities and businesses. We do this through energy-efficient power upgrades, power conditioning device distribution and installation, and innovative energy lighting solutions. We also help our customers qualify for electric rebates and incentives. Our goal is for our customers to maintain control over their own utility costs and see sustainable savings. Our trained and knowledgeable team takes great pride in offering: complete analysis, installation based on best-practices, financing and incentive options (where applicable) and a comprehensive warranty. Our Project Analysis service is based on a visual inspection and evaluation of the current electric panel and a comprehensive review of energy usage documentation, such as utility bills and any other documentation that provides an overview of your energy consumption. Once our evaluation and inspection are completed, proposed energy efficiency solutions will be presented that will include product recommendations and pricing specific to your site. Learn more about our residential and commercial services. Our staff has a thorough understanding of the unique energy-efficient products we offer and will work with you to determine the best solution to maximize your savings. Because it is critical to the results you get, our team will ensure that your kilowatt reduction products are sized appropriately for your building size and overall needs. All products and devices are installed by our highly-trained electricians, and all of our electrical work will be completed in accordance with safety standards outlined by the current National Electric Code. We offer competitive financing options and will help you through the often complex process of securing available federal, state and local tax incentives and utility rebates. We offer a 1-year, no-questions-asked money-back guarantee. Additionally, we provide a comprehensive limited warranty on all installations. If any device should fail within the first 5 years, we will repair and/or replace the device free of charge (less cost of install/uninstall). Read more about the SELS Guarantee. Ready to save some green?